With just a little more than a week away from the Missouri Valley Conference Tournament, Wichita State triumphed over fellow MVC member Loyola (CHI), beating them 76-54. 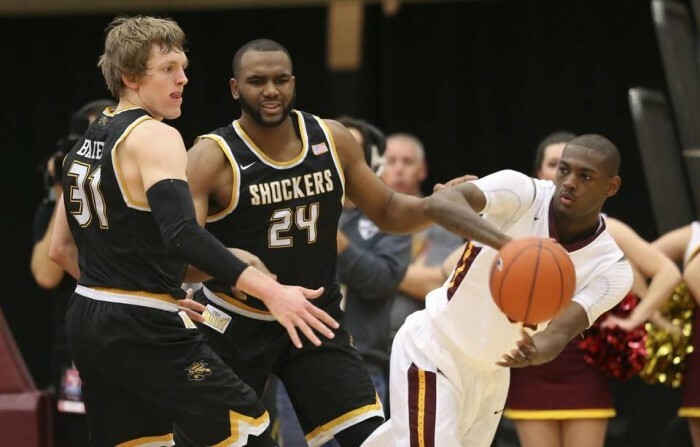 As the Missouri Valley Conference Tournament sneaks upon us, top MVC team Wichita State Shockers asserted its dominance as they defeated the Loyola (CHI) Ramblers 76-54 to complete the season sweep of the Ramblers. Wichita State improves to 22-7 and 15-2 in conference play. Loyola falls to 14-15 on the season and 7-10 in the conference. The Shockers clinched the first overall seed in the MVC tournament next week, and the Ramblers could be anywhere from a sixth to an eighth seed in the tournament. The Missouri Valley Conference tournament will be played from March 3rd-6th at the Scottrade Center in downtown St. Louis, MO. Senior Ron Baker was on fire in the first half for the Shockers. He shot 5/8 from the field, which included three three-pointers on four attempts. Baker ended the half with 15 points, which is more than what Baker averages per game, which is 13.2. The senior was 2/2 on his free throws and also tallied four rebounds and an assist in the first half. This was easily one of the best half’s Baker has played this season. The scoring was pretty divided for Loyola as six different players scored. Their leading scorer in the first half was Devon Turk, who had nine. Loyola didn’t do much on the offensive side in the first half, as they shot 11/30 compared to the Shockers 13/27, but they shut down one of the best point guards in the nation on the defensive side. The Ramblers held WSU senior Fred VanVleet, who is a Wooden Award candidate, to zero points on four shot attempts in the first half. VanVleet did not score but did have four assists. Wichita State was able to capitalize on the Ramblers' inability to get buckets early on and led at the half, 37-27. The Shockers kept their foot on the gas pedal in the second half and kept the Ramblers at bay. Loyola also had a couple of players suffer injuries, which didn’t help their chances to win. The Shockers ranged from 10 to around 17 but Loyola did all they could to stay in the game. There would be times where the Ramblers would narrow the Shocker lead bit by bit, but then Wichita State would string together consecutive baskets to pull ahead to increase their lead. Devon Turk did all he could on offense for Loyola, finishing with 18 points. He shot 4/7 from downtown. But once the Ramblers lost Earl Peterson to a foot injury in the first half, the offense just didn’t flow as well. 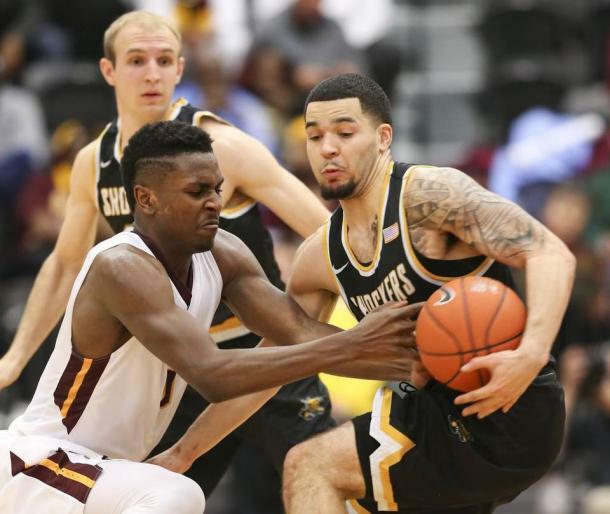 For Wichita State, VanVleet continued to struggle. He finished the game with just one shot made and only seven total points. Despite his scoring struggles, he still accounted for a team high seven rebounds along with seven assists. VanVleet’s teammates picked up the slack in terms of scoring as Ron Baker finished with 19 points and Anton Grady had an impressive outing with 17 points. The Shockers have already clinched their third straight MVC regular season conference championship and are the big favorites to win the MVC tournament and move on to the NCAA Tournament next month. Wichita State has one game left in the regular season, which is a home game and their Senior Day against the Illinois State Redbirds, one of the two teams that have given the Shockers a conference loss this season. That game is this Saturday at 1:00 PM CT ON ESPN2. Loyola also has one regular season game left, which is a road game against the Drake University Bulldogs, which is at 1:00 PM CT on ESPN3.